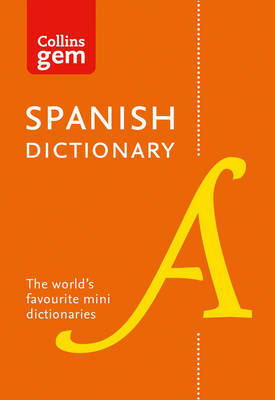 A portable, up-to-the-minute Spanish dictionary. This latest edition comes with all the new words in Spanish and English plus handy links to Spanish verb tables, making it the perfect choice for travellers, students and business people. Features include: * All the latest words in Spanish and English * Links to verb tables * Ideal companion to GCSE Spanish * User-friendly Phrasefinder supplement for travellers, including a handy menu-reader section * Clear, colour layout, useful examples, language and cultural notes All the latest words reflecting changes in modern lifestyle, plus an easy-to-read colour layout, special treatment of key words such as can, that, ser, de, notes about life in Spanish-speaking countries and warnings on commonly confused words. The Phrasefinder section has been developed to give travellers on business, school and leisure trips all the essential phrases they need. The menu-reader section is a quick guide to the most common words and phrases you will find in Spanish bars and restaurants, ensuring you always get what you expect from a meal out. 40,000 words and phrases, 60,000 translations Also available in the Collins Spanish dictionary range are Collins Spanish School Dictionary, Collins Easy Learning Spanish Dictionary and Collins Spanish Dictionary & Grammar.